That’s right, it’s back! New build A1 class 60163 Tornado has returned to service after the completion of its first overhaul. The locomotive has once again been painted in British Railways apple green after being BR express blue prior to withdrawal. This is excellent news to all those who admire this recreation of Peppercorns long lost A1 class. The £400,000 overhaul was completed in 8 months at Darlington Locomotive Works. To read more about the overhaul and details of a new app developed for iPhone users, check out the A1 trust’s website by clicking here. 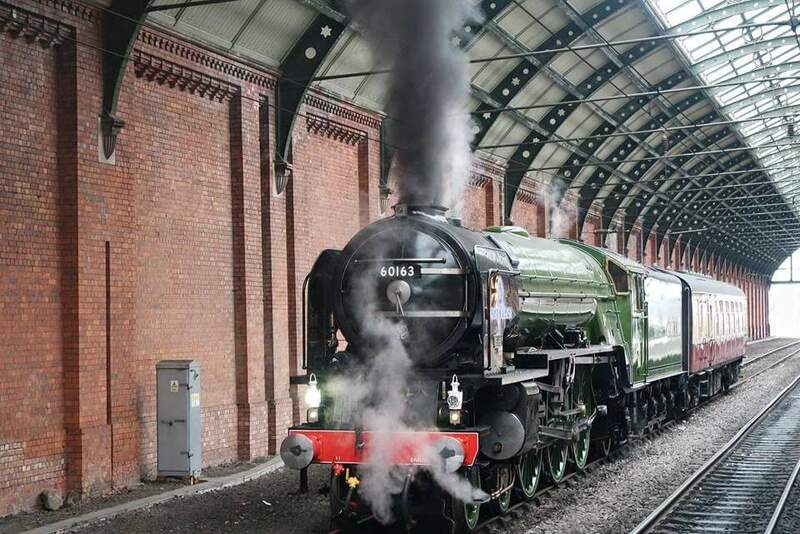 The image of 60163 Tornado at Darlington was taken yesterday and is used by kind permission of Andrew John Todd. 18/06/2015 in Mainline Tours, News - Preserved Railway.